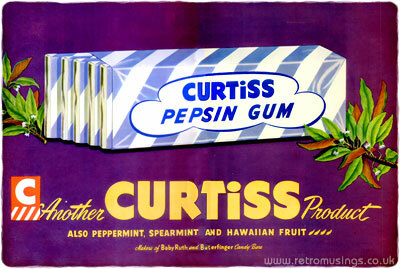 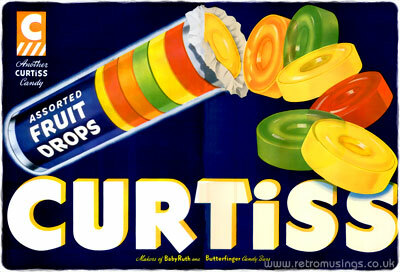 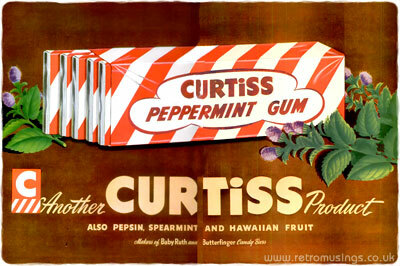 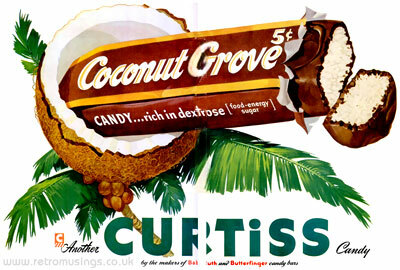 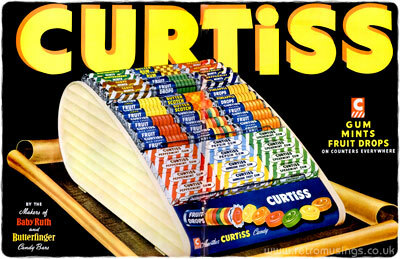 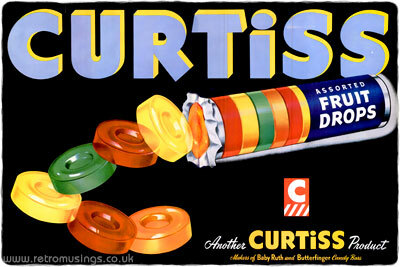 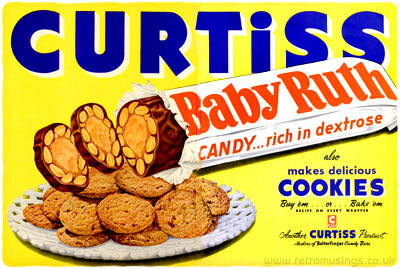 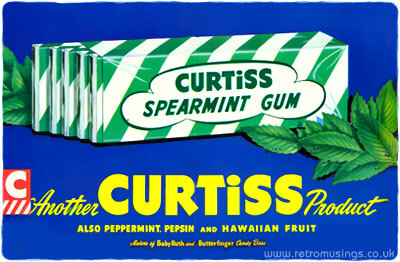 These ads for various Curtiss candy date from 1947-49. 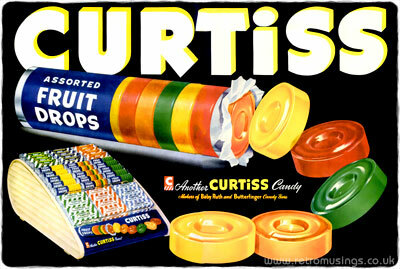 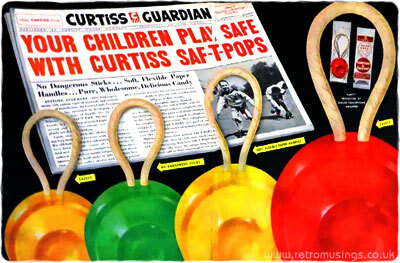 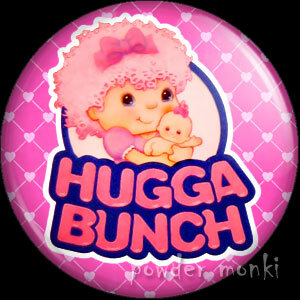 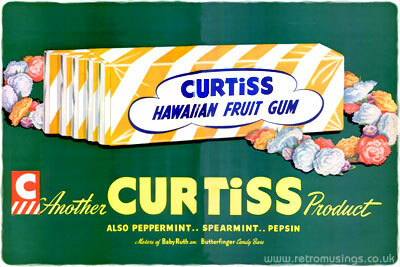 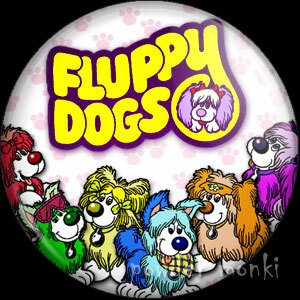 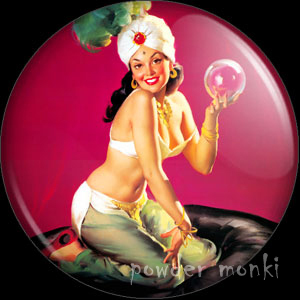 They made Fruit Drops, Butterfinger, Baby Ruth, Coconut Grove, and various flavoured chewing gum. 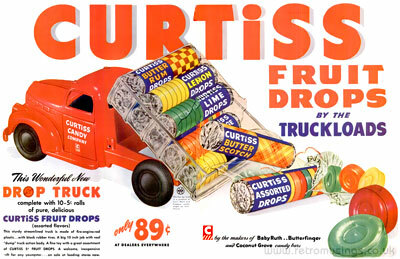 All these ads were double page spreads, which I have joined together as best I can. 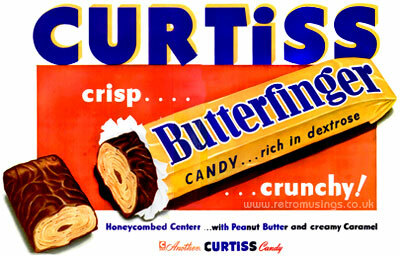 Butterfinger, Baby Ruth & Coconut Grove.